Last week marked the culmination of Disney’s third Girls Who Code Summer Immersion Program, a seven-week program that introduces high school students to computer science. 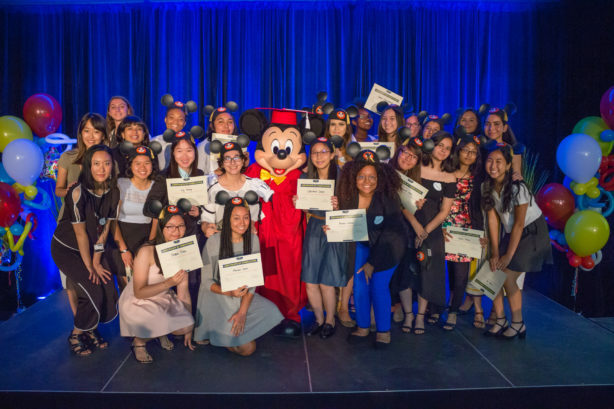 In partnership with Girls Who Code (GWC), a national nonprofit organization working to close the gender gap in technology, The Walt Disney Company gave 22 rising high school juniors and seniors the opportunity to learn the fundamentals of computer science and to explore different careers in technology. 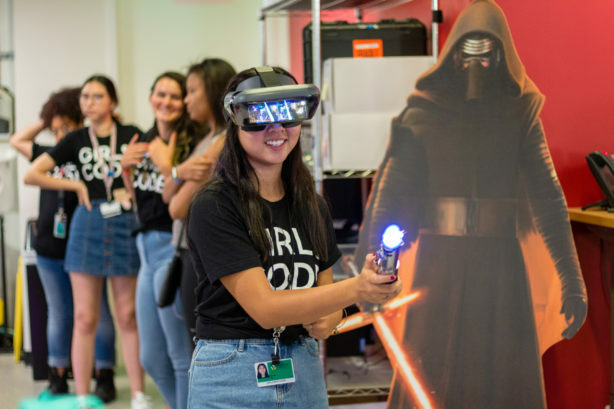 Throughout the summer, the students were immersed in an intense computer science curriculum taught on-site by Girls Who Code professionals and enriched by guest speakers, field trips and mentors from across all segments of the Company. During the program, students were given the opportunity to learn more about the tech behind the magic at many segments of the Company. At Walt Disney Animation Studios, the girls saw firsthand how technology plays a role in Disney’s animated feature films, and they even had a chance to use tools to animate hair and create snow effects. The students discovered how technology works hand-in-hand with storytelling at Disney parks through VR, robotics and sound engineering at Walt Disney Imagineering, and they explored how machine learning and apps like Play Disney Parks improve the guest experience at the Disneyland Resort. They also gained insights into how Disney is using technology to bring magic into consumers’ homes at the Advanced Development Lab, and the Walt Disney Studios Technology group showed them how technology is transforming the film industry at the brand-new StudioLAB. 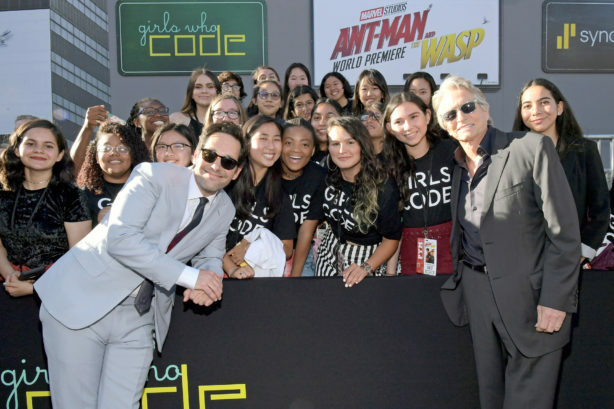 On top of these behind-the-scenes tours and technology demos, the students also received an invitation to attend the World Premiere of Marvel Studios’ Ant-Man and The Wasp from director Peyton Reed and Victoria Alonso (executive vice president of Physical Production), following a discussion on the impact and importance of women in technology. This year’s class also heard from leaders across The Walt Disney Company who are using technology to change the landscape of the entertainment industry, including Susan O’Day, Anita Lynch (vice president, Data Architecture, Analytics & AI), Ed Catmull (president, Pixar and Walt Disney Animation Studios), Alisa Bowen (senior vice president and general manager of International, Disney SVOD Service) and Paula McMahon (vice president, Product and Innovation).